Penn Vet Working Dog Center, Performance Medicine Room *The first class will be held in the lobby of Ryan Veterinary Hospital (no dogs). 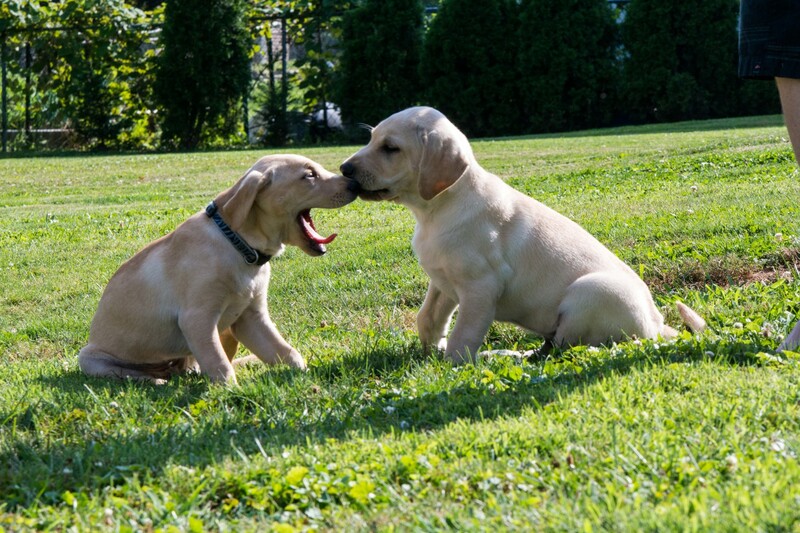 This science-based socialization and training program addresses puppy socialization to other dogs and people, introduction and exposure to novel stimuli (sounds, surfaces, objects), low stress handling, practical, reward-based training, and understanding dog body language. Topics such as house training, crate training, feeding, limiting unwanted behaviors (chewing, mouthing and jumping) will be discussed. Before registering, please read our cancellation policy. All classes require a minimum registration. If the minimum is not met, a full refund will be issued. If you have any questions about this class prior to signing up, please contact the instructor at sewarda@vet.upenn.edu. For puppies age 8-16 weeks. Effective 1/11/19 all dogs must comply with the Vaccination Policy.